If you already have your property’s landscaping taken care of, man-made features can help you transform your home’s exterior. For example, if you have a perfectly manicured lawn, you may wish to install benches or a gazebo so that you and your guests can more fully enjoy the landscape. Similarly, you may desire to set off your prize-winning flower garden with a patio on which you can host outdoor parties amidst beautiful blooms and sumptuous scents. While adding man-made features gives you innumerable ways to increase your home’s value, it can also give you a backache! Most projects involve dense, unwieldy materials that may require the use of heavy machinery, such as backhoes or tractors. If your dream project is beyond your physical ability or knowledge, hire a hardscape architect or expert. 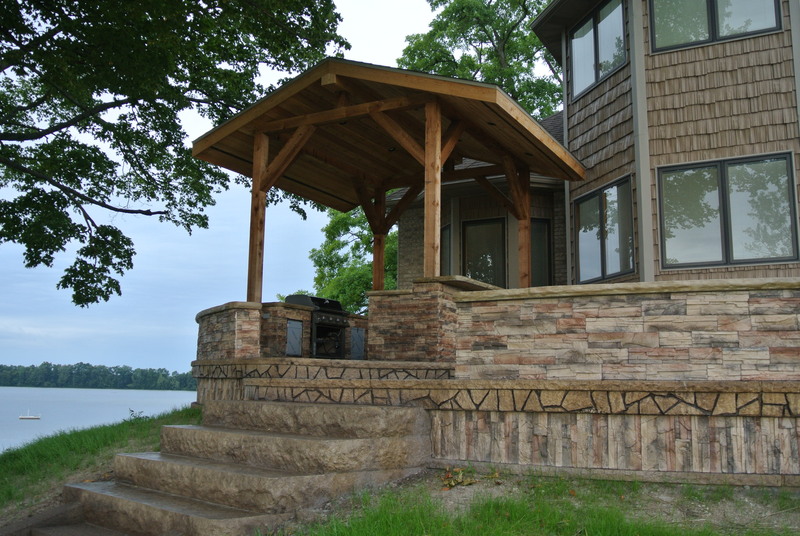 An experienced professional will help you determine your project’s design, materials, construction and maintenance. This approach can save you money, time and effort. Whatever the project you have in mind, hire a hardscaping professional to help you achieve your goals. Their knowledge and expertise can create lasting value for you and your home.